HAVANA, July 11, 2014 - Cuban President Raul Castro (L, front) and his Russian counterpart Vladimir Putin (R, front) inspect the guard of hohor during a welcome ceremony in Havana city, Cuba, on July 11, 2014. 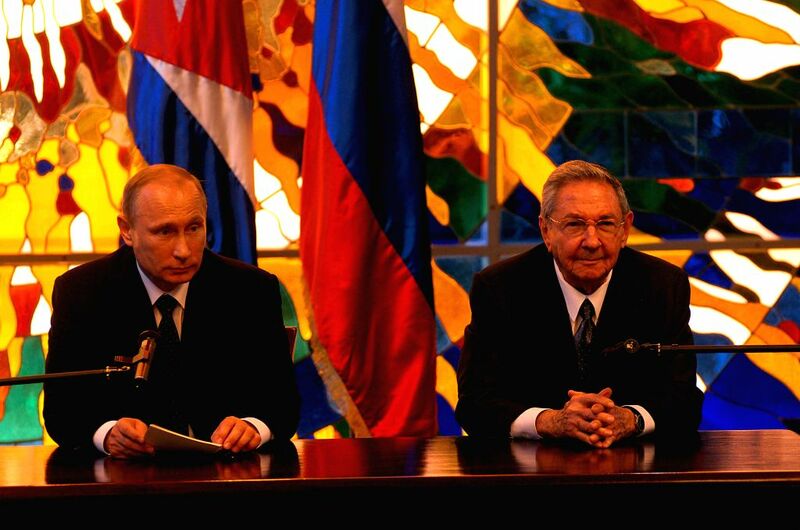 Vladimir Putin arrived in Cuba on Friday for an official visit to hold talks with Raul Castro. 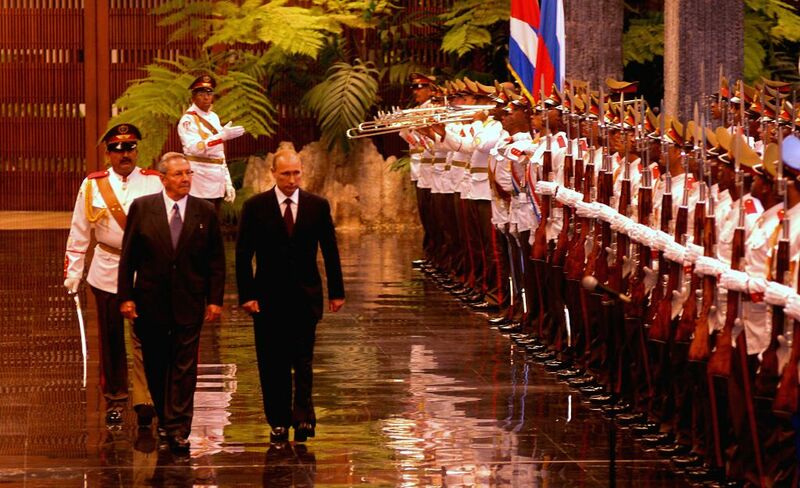 Cuba is the first stop of Putin's Latin America tour that also includes Argentina and Brazil.